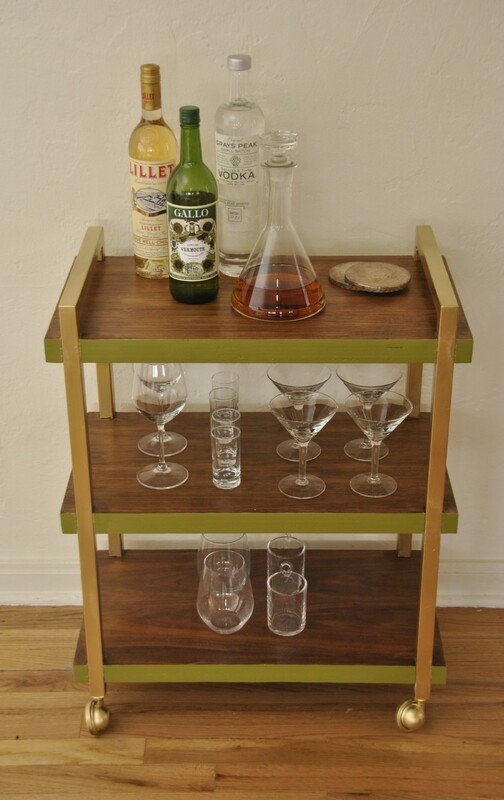 This stunning mid century bar cart features beautiful wood veneer, solid metal frame, and original wheels. Whether used as storage for books, barware, or even used as a side table, this piece will stand out in your home as truly unique. Tiers are 10″ tall each.